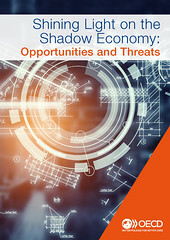 This report looks at the impact on the shadow economy of changes in ways of working and business models, the growth of the digital economy and the emergence of new technologies. While these are causing some new shadow economy activities to emerge and some existing ones to expand in scale or scope, they are also providing tax administrations with new opportunities and tools to enhance compliance. The report sets out a number of examples of effective actions being taken by tax administrations utilising technology, behavioural insights and new sources of data. It also recommends a number of areas for further targeted work to help improve tax administrations’ ability to tackle shadow economy activity, including for collaborative work on the sharing and gig economy. The report is a complementary report to Technology Tools to Tackle Tax Evasion and Tax Fraud.